Wakesurfer Yolanda Choy loves to get out on the water. Year on year she was surrounded by more plastic until finally she and 10 other women decided enough was enough. Choy discovered her love for the sea as a surfer in California, but it was not until she moved to Hong Kong that she released her potential in wakeboarding. Her coach convinced her to compete, and she went on to win a Hong Kong women’s bronze in the sport. Choy is busy adjusting her stance so her weight is forward, to emulate the tricks she once pulled on wakeboarding. 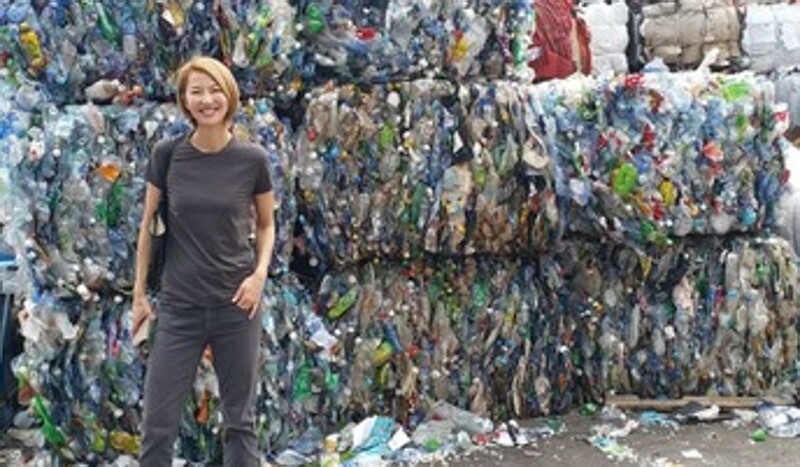 But her real passion now lies in spreading the word against the increasing plastic epidemic. 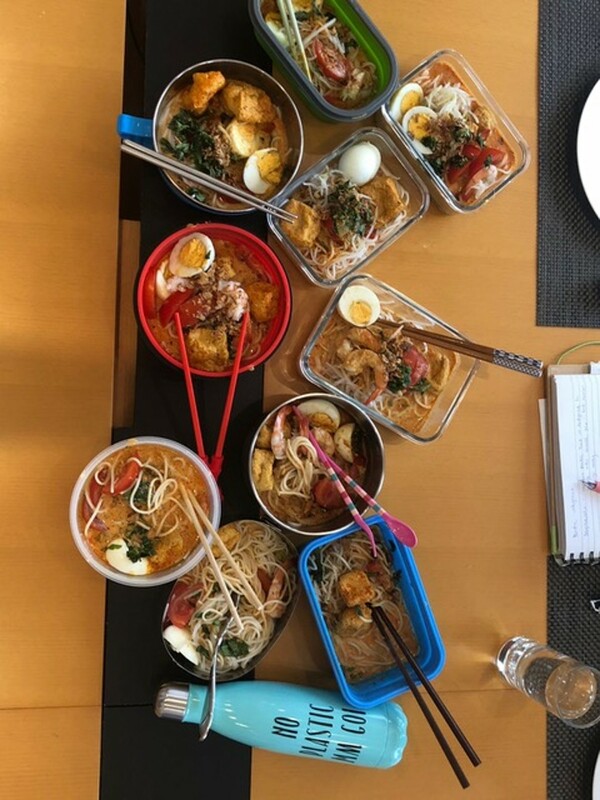 Choy and her friends set up Eco Drive to spread awareness and reduce plastic use. She says that although plastic can be recycled there is a series of logistical and expensive barriers, so it is better to reduce it in the first place. 1. Being aware of the plastic problem is the first step towards reduction. There are plenty of tools to educate yourself on the extent of the plastic problem and the issues it causes. I watched A Plastic Ocean and that was the catalyst for our campaign. The next day I walked around the city and could see single use plastic everywhere, like a switch had gone off. People are so complacent in Hong Kong because Hong Kong is spoilt in so many ways. Once you’ve recognised the issue, it is easier to find the motivation to change your ways. 2. Evaluate your lifestyle and see how you can reduce your plastic consumption based on your habits. Do you buy a coffee daily? How many shopping bags do you use when grocery shopping? Can you reuse your plastic bags or washable shoe bags? Do you buy takeout daily? Do you have a lot of leftovers when you eat out? Does it make sense to bring your own container? It might initially be inconvenient, but ultimately small changes make big differences. Others will see you refusing plastic in lieu of your own recyclable gear and also make changes. 3. Keep your tools nearby. Keep extra recycling bags, water bottles, utensils and straws and food containers handy at work or in the boot of your car. Your carrier bag should have a container, a fork, spoon and a straw and a refillable bottle. Making the choices in point two is one thing, but making it as easy for yourself is another by including all your reusables in your routine bag pack. Others will see you using a container or reusable bag and it will make them reflect on their own choices. You don’t have to be an eco-warriors who will shout whenever you see a plastic bottle, but you don’t need all this plastic when you’re buying lunch. 4. Talk to those around you about reducing plastic use – family and friends, restaurants, clubs, community groups – and brainstorm ideas and achievable solutions. Once you are aware, take it upon yourself to spread your knowledge and its many nuances. For example, recycling is expensive and there are different kinds of plastic. So, one cup in a bin of bottles might ruin that whole batch and result in it being shipped to landfill and not recycling. You have to talk to the people around you. You cannot get rid of plastic, so you have to reduce it in the first place. Lots of people say they recycle but you need to talk to people about reducing it. 5. Take action by discussing with your property management company about getting proper recycling bins and collection. Most people don’t realise there is a lack of plastic collection at residences and commercial properties … nobody collects unless the building is willing to pay. Look into HK Recycles and Chun Shin Recycles. You can even make your employer green, but there needs to be buy-in from management, so raise awareness at the top first.